A thicker-than-normal inhibition layer is one indication that it’s time to change your bulbs. Other signs of under-curing include air pockets underneath the artificial nail coating, as well as dull, soft areas where the coating was too easily wiped or filed away, says Schoon. To prevent under-curing, he recommends replacing bulbs after two to four months of regular use. And don’t forget to clean nail dust from your UV bulbs at least once a week. 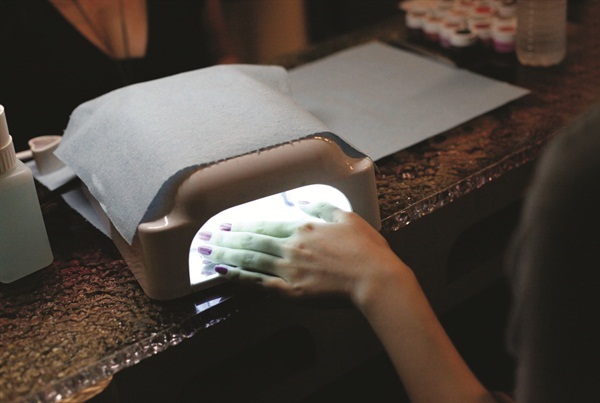 To learn more about UV nail lamps and proper curing, visit www.dougschoon.com or subscribe to his online video series, Face-to-Face with Doug Schoon (www.facetofacewithdougschoon.com).